After getting a taste of gorgeous weather, our little family is struggling with the repeat cold front offenders. We’re trying to brighten things up in our home so even though it might be gloomy outside, it can be sunshiny inside. Paradoxically, winter is the best time for citrus. What a beautiful thing to have glorious, vibrant, citrus when everything else is void of color. Adding some fresh citrus to my morning routine helps energize me for the day and perks me up instead of feeling bogged down by the cold. 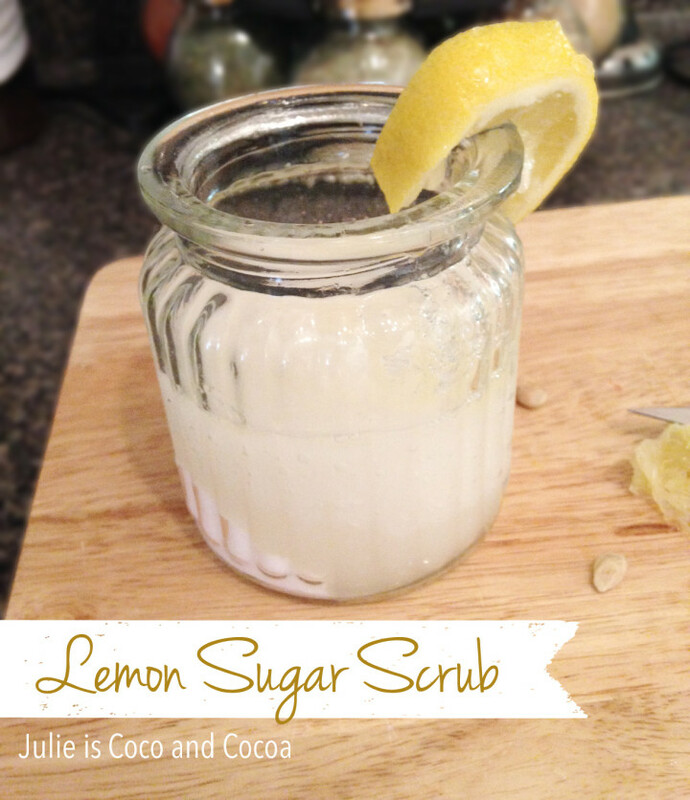 A lemon sugar scrub is a perfect way to inhale happy scents, brighten your complexion, and get baby soft skin to seize the day with. Use it in on your face, hands, or in the bath. I specifically used lemons for the cheery color & the brightening effects on the skin, though you could certainly use grapefruit or orange for a little, lovely aromatherapy as well. Personalize the scrub to your tastes by exchanging the lemon zest for orange zest, or even lavender or peppermint essential oils! I mix mine in the jar to save on cleanup, but it can be tricky to get it well mixed. I hope this little jar of happiness gives you the energy to tackle another winter day!